GAITHERSBURG, MARYLAND: Patton Electronics—US manufacturer of world-class VoIP equipment—announces the new SmartNode 200 Analog Telephone Adapter (ATA) and VoIP Gateway series for small-to-medium businesses will be available to order in Q2 of this year. 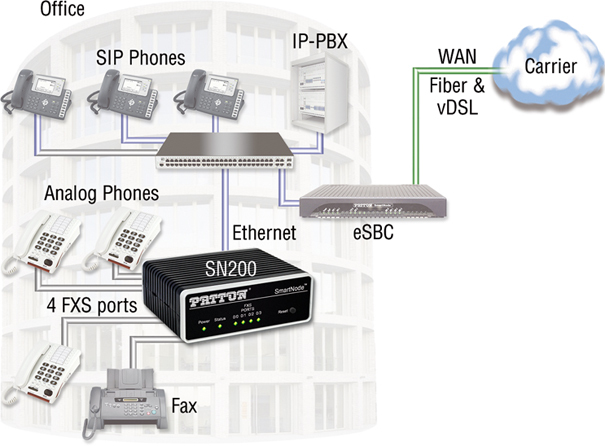 Offering flexible combinations of one (1) to four (4) analog FXS telephony interfaces, the SN200 series IP-enables traditional POTS telephony equipment on the customer premise for connection to today’s state-of-the-art SIP-trunk, unified communications (UC) and hosted ALL-IP telephony services. Designed for professional network deployments, Patton’s new ATA solutions offer telco operators and enterprise subscribers a simple, cost-effective way to connect analog phones, fax, intercoms, and other legacy devices to an All-IP service-provider network. The SN200 enables fast, secure, zero-touch, auto-provisioning as a standard feature. The Patton Cloud edge-orchestration service provides operation, administration, monitoring, management, alerting, troubleshooting, and more. These two services, combined with legendary SmartNode quality and reliability, make the SN200 the ATA with the lowest total cost of ownership (TCO) in the market. A further benefit of the Patton Cloud is pro-active notification of faults or performance issues in the subscriber’s network, which can reduce service downtime and increase customer satisfaction. For simplified installation, the SmartNode ATA can be optionally powered by Power-over-Ethernet (PoE) with no separate power supply required. Manufactured in the USA, Patton’s ATA boasts the smallest footprint of any such device available today. A future release of the SN200 VoIP Gateway will offer an optional FXO port that provides PSTN fallback in the event of IP-network failure. Validated for voice and T.38 fax with all major-brand SIP trunk service providers, softswitch vendors, and IP-PBX manufacturers, SmartNode VoIP products are well-known for outstanding interoperability. 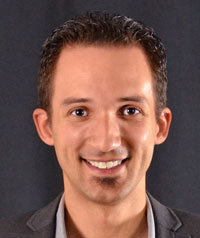 In related news, Patton recently announced its SmartNode customer-premise VoIP gateways and eSBCs are validated for interoperability with Microsoft Skype for Business by TekVizion.